bar with rotating plastic sleeve. Wrench and instructions. positions) . . swing a full 180° to accommodate any length barbell bar. 16'4x49 in. long. Sent partially assembled. 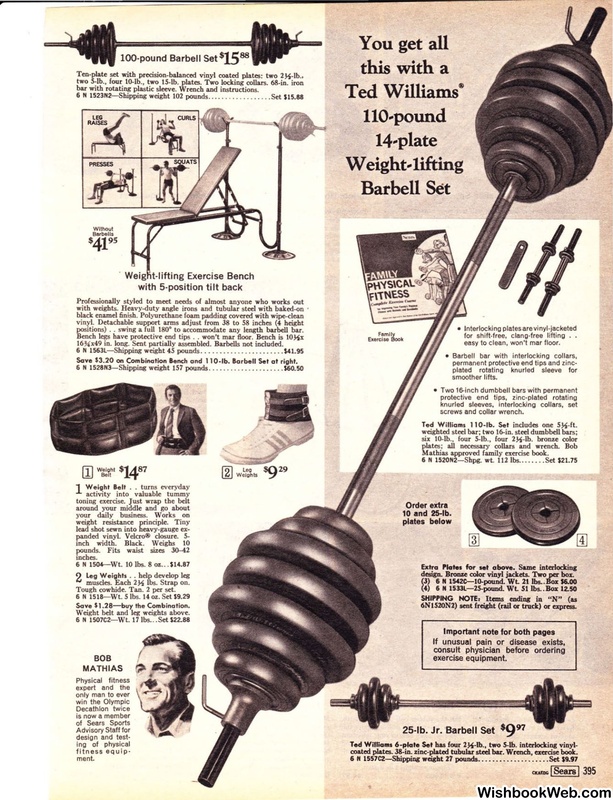 Barbells not included. Save $3.20 on Combination Bench and 110-lb. Barbell Set at right. Weight belt and leg weights above. for shift-free, clang-free lifting ..
easy to clean, won't mar floor. Mathias approved family exercise book.